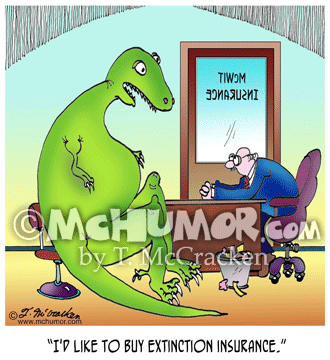 Insurance Cartoon 6536: A dinosaur saying to an insurance agent, "I'd like to buy extinction insurance." 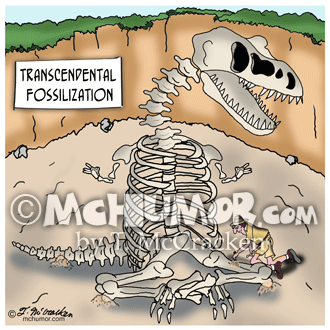 Dinosaur Cartoon 9364: "Transcendental Fossilization." 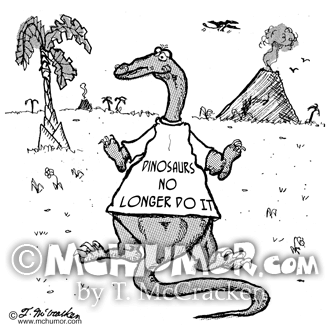 A paleontologist digs out dinosaur bones in a yoga position. 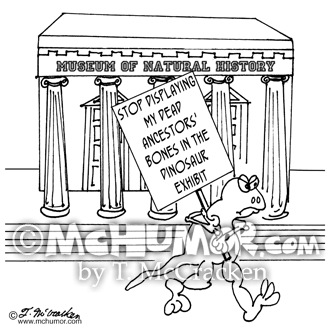 Archeology Cartoon 7190: A caveman asking a dinosaur with definitions on its skin, "What's an eight character word for rock?" 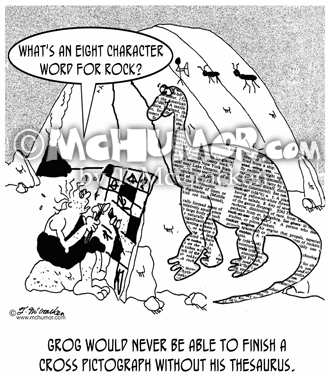 "Grog would never be able to finish a cross pictograph without his thesaurus." 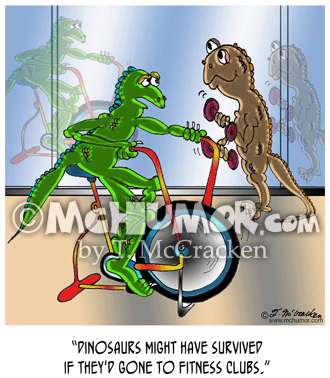 Lizard Cartoon 7945: A lizard on an exercise bike says, "Dinosaurs might have survived if they'd gone to health clubs." 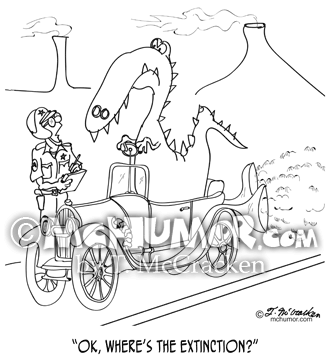 Masonry Cartoon 2041: "Theory #243 on how fossils were made." 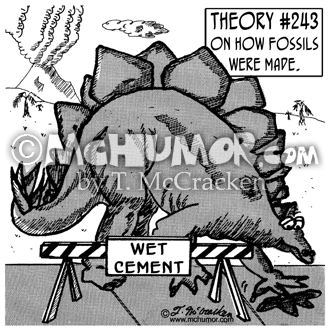 A dinosaur steps on a sidewalk with a "Wet cement" sign. 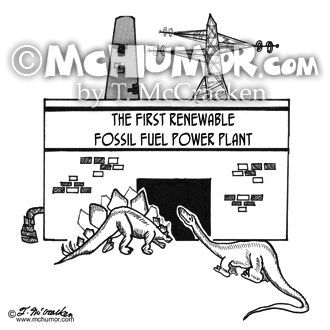 Energy Cartoon 1742: Dinosaurs walk into the "The First Renewable Fossil Fuel Power Plant." 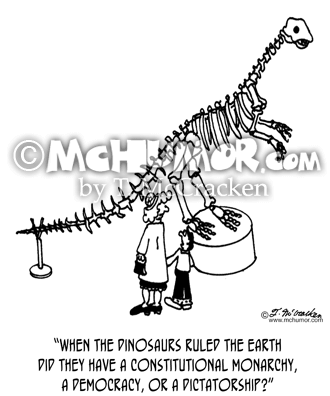 Dinosaur Cartoon 7734: A kid looking at a T-Rex skeleton in a museum asks, "When the dinosaurs ruled the earth did they have a constitutional monarchy, a democracy, or a dictatorship?"